How to secure user rights in education? This was the question we asked during a policy debate organised by Communia and hosted by MEP Michał Boni in the European Parliament on the 17th of November. Panelists, politicians and stakeholders participating in this debate discussed two approaches: the creation and use of Open Educational Resources (OER), and a progressive copyright reform for education. While these issues are usually presented separately, as Communia we see them as two aspects of a single effort to ensure user rights in education. This two-path approach has been acknowledged at least since 2013, when the Creative Commons community argued that the movement behind open licensing policies needs to be involved in the copyright reform debate as well. 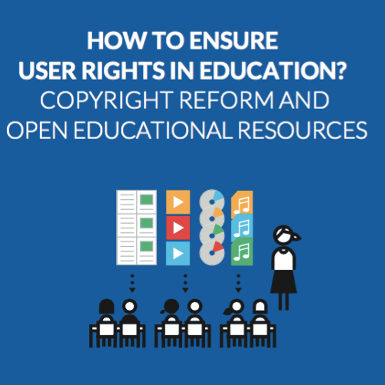 Today in Europe, we are facing both developments related to OER policies (related to the Opening Up Education initiative, launched in 2013), and a copyright reform process in which education has been highlighted by the EC to be one of key areas for modernisation of copyright. 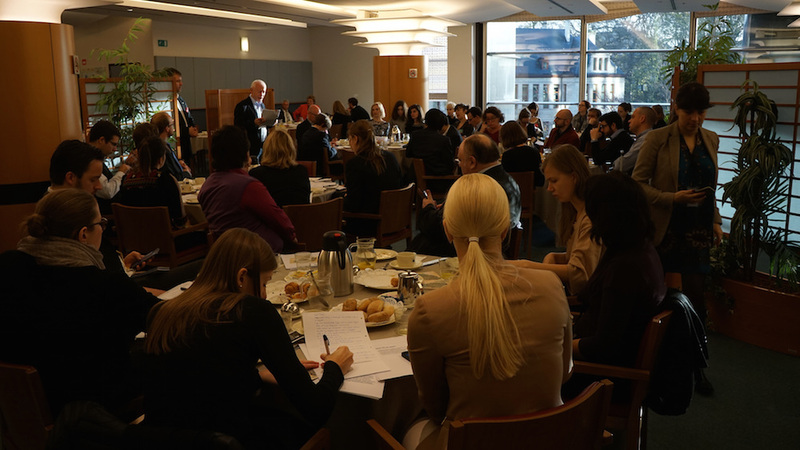 Throughout the meeting, policies supporting OER and copyright law reform were presented as two solutions that are complementary, not mutually exclusive. This issue was highlighted by Michał Boni in his introductory speech, which highlighted the innovative potential for OERs—but also spoke about the need of securing a strong, harmonised copyright exception for educational uses. Boni also discussed the need for an approach that balances the varied interests of stakeholders in the educational sphere, including right holders and users. Dr. Dominic Orr, consultant with OECD, presented insights from a new report titled „Open Educational Resources: a Catalyst for Innovation” (of which he is a co-author). The report goes beyond highlighting the importance of OER for ensuring educational equity, and stresses the innovative potential of resources that can be easily reused and repurposed. Josie Fraser, a social and educational technologist working for the Leicester City Council, talked about ties between open education, digital literacy, and teacher training. She explained her experiences with introducing a city-wide policy that permits teachers to release their educational resources as OERs. Fraser also mentioned that copyright reform—especially the simplification of legal provisions so they’re easy to understand—could go a long way in empowering and encourage teachers to create OERs. Teresa Nobre, representing Creative Commons Portugal and Communia, spoke about the importance of a harmonised approach to copyright exceptions for education. Her research on the current state of these exceptions demonstrates a fragmented and insufficient support for educators and learners across Europe. Alek Tarkowski, who moderated the meeting on behalf of Centrum Cyfrowe and Communia, stressed that this discussion needs to take into account not just a balanced copyright system, but also the needs of educators and learners. In the sphere of education, copyright policy should reflect educational strategies, and support high quality, innovative, personalised education across Europe. This perspective was further underlined by participants in the debate, including representatives of Schoolnet, Education International, DG Education and Culture, and University of Zagreb. They spoke about needs of teachers— in particular the need for legal certainty when creating, using and publishing educational content. From this perspective, copyright awareness becomes a fundamental aspect of digital literacy and professional development for teachers. Marco Giorello from the Copyright Unit at DG Connect placed the debate in the context of the Digital Single Market strategy of the European Commission, which brings in crucial issues having to do with enabling cross-border uses and the market effects of educational exceptions to copyright. With these considerations in mind, the EC will attempt to balance educational goals that can be achieved through reform of the educational exception. As Communia, we will continue to participate in the policy debate on copyright in education. We believe that European Union should continue to develop policies and tools supporting Open Educational Resources, in line with its “Opening Up Education” initiative. Furthermore, we need to use the opportunity of the ongoing copyright reform to establish a strong and clear exception for education. As proposed by Teresa Nobre during our meeting, we need a single, broad and harmonised educational exception, defined by educational activity—not the type of institution. Furthermore, the exception needs to allow commercial as well as noncommercial use, and include an open norm to ensure its flexibility into the future. (For further opinions about the event, please read posts by Sandra Kucina Softic from University of Zagreb and Christer Gundersen from NDLA). (This post has been cross-posted on the blog of the Communia Association).